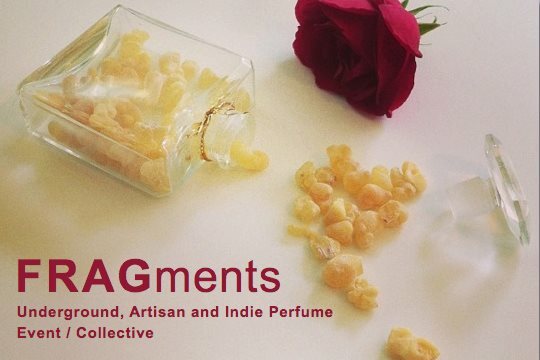 The list of participants at the upcoming FRAGments co-operative art show and perfume pop up shop is out! 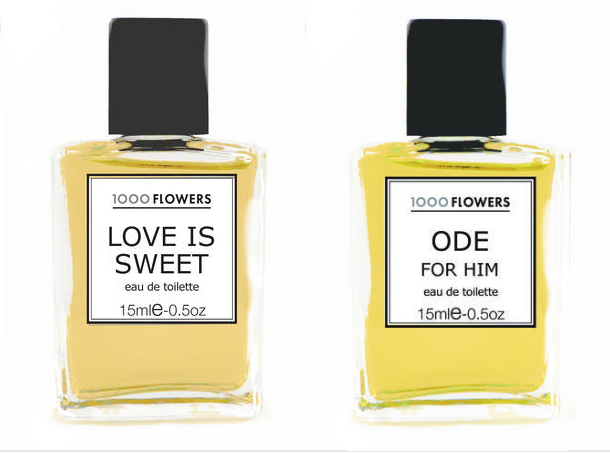 Noon-5pm: Reception and Collective Pop Up Shop OpensCome sniff, get the story behind each perfumer's art and, if you choose, purchase directly from them. Canadian Perfumers, a photo by Ayala Moriel on Flickr. The following will be the first in a short series of conversations with Canadian perfumers (there are far and few of us). 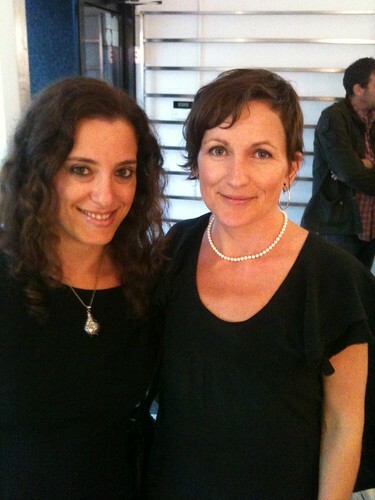 I met Jessica September Buchanan in Grasse in May 2009. It was one of those rare "Facebook moments": I came back from the rose fields, and found several friendship requests from Spanish people I've never met before, and had a message at the front desk from a Jessica, whom I just learned that week was a student who just completed her full year course at the institute where I was attending a week-long course - and happened to be from British Columbia. A rare coincidence. A day or two later of attempts to bypass the limitations of roaming charges and weak wi-fi connections, we finally were able to make a Skype conversation and arranged to connect in person, a night before my course was over. I walked up to her apartment - the top floor in an old building (well, pretty much everything in Grasse is rather old), met her friend who just took the train in that day from Italy, had a glass of vino, sniffed some vintage molecules that are no longer allowed to be used in production - dabbed some perfume, and left for the party. It was a barbecue garden party that took place at a perfumer friend of Jessica, who worked at the naturals department of a supplier house. 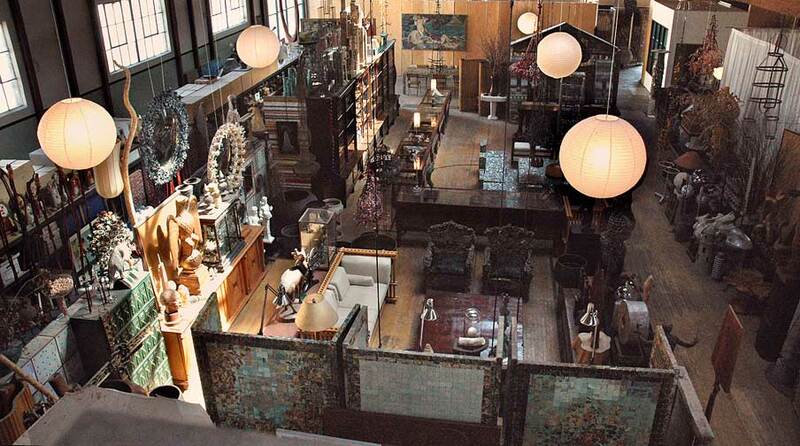 His house was part of a newly renovated compound that used to be an old perfumery with chimney and all. The moment I met him, I realized he was actually a Facebook friend: non other than Pierre Bénard of Osmoart. As well as nearly all 20 or so guests at the parties, who were mostly students from the flavour & fragrance program in the university of Barcelona... Now all the Facebook action made sense! and me with my fresh-from-the-studio Hanami, which I just launched in Los Angeles the previous month. Jessica's love of violet is not limited to classic Guerlains -but is also evident in most of the work I've experienced: ionones are an accent in her Reglisse Noir, and wild violets inspired Fleur No 1. It is a pleasure and an honour to have Jessica September Buchanan as a guest on SmellyBlog for a rare perfumer-to-perfumer conversation that touches on influences, identity, raw materials, and the long process of birthing an indie brand in a world full of the opposite. Ayala Moriel (SmellyBlog): How did a Canadian nature girl like you end up in the French Côte d'Azur? Jessica September Buchanan (1000Flowers): Initially I came here with the intention to stay for only one year, while I attended the Grasse Institute of Perfumery. But then I became quite smitten with the climate and the magic of the place. Then I also had the dilemma of loving both here and Canada, and feeling somewhat torn as to where I wanted to be. (the true sensation of having a foot in two different worlds). 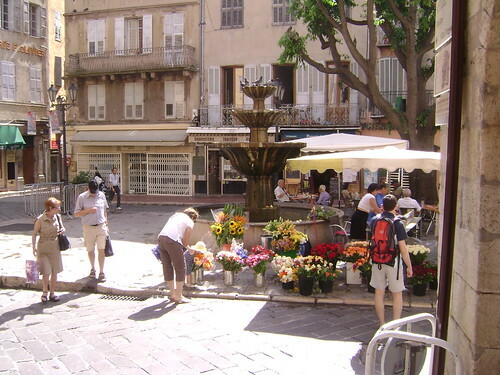 I decided on Grasse, since I thought it would be beneficial for the identity of my business. Ayala: Torn between two worlds is a feeling I can relate to, being born here but raised in Israel - two completely different environments, from both climate and people's temperament and culture. 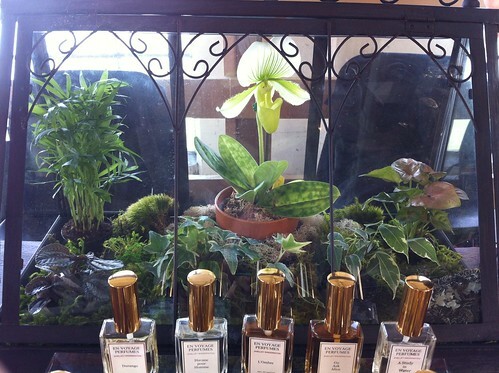 Do you feel that your perfumery style or themes were affected by the change of scenery? Jessica: Yes, so you understand completely. And you chose Canada, rather than your birth country... and I ended up choosing France, rather than my birth country. There is so much more to learn from a culture other than our own. When did you start 1000Flowers? How did you pick the name? In 2002, I had a conversation with a Vedic astrologer, and a Sanskrit word kept coming up that translated as 1000 flowers, or 1000 plants, or 1000 medicines. I was quite smitten with this, and after about a week of reflection, I decided to change my company name. Soon thereafter, I also incorporated under the same name. Ayala: That's beautiful and serendipitous - especially with your background of using plants for healing (aromatherapy). And I can't help but asking - are you aspiring to make 1000 perfumes for the line? Or incorporate 1000 of them into your formula? Jessica: That is something I've joked about with friends... But I think that may be a bit too ambitious! I think it will remain mostly symbolic in the name... But who knows... We'll have to see how many perfumes I have created by the end of my life! Jessica: Nature. Love. The sea, the forest, plants, flowers. Also, certain artists - Picasso, Georgia O’Keefe, Charles Rennie Mackintosh, and Margaret Mackintosh, for example. I love the aesthetics of design, and find inspiration all around me in that regard. I am also inspired by certain perfumes... 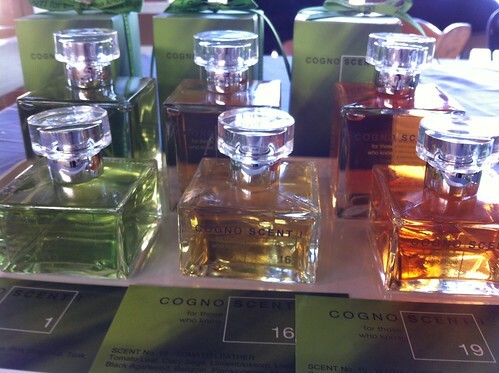 It is pleasing to smell creations that are balanced and well-constructed with fine materials. Ayala: Is it true that you designed your own logo and packaging? How do you manage to do all this alone? And do you think there is an advantage to full creative control, or do you sometimes feel the need to "step back" and let someone else handle an aspect of running 1000Flowers (i.e. : marketing, packaging or even just the bookkeeping)? Jessica: I originally had a graphic designer do a branding project for me. We worked closely together and she designed the logo and the round seal that is on my website. Since then, I learned the Adobe Creative Suite, and simply work within the structures that are already there. Any photography (on my site etc.) are my own. I enjoy immensely graphic design and photography. Ayala: What is your vision for 1000Flowers as a brand and a business? Jessica: My vision is to develop the brand, and eventually to open a boutique that embodies the identity visually as well as ethically of what 1000 Flowers stands for. This includes simple and elegant beauty (black, white and grey), and fragrances (based on precious natural materials), that translate my personal expression of the art of perfumery. In the meantime, I just launched two new fragrances, and have several more in development. I am working to expand the collection to offer more choices from the brand for perfume enthusiasts. I am also beginning to offer the service of fragrance design for other companies. Ayala: Tell me more about your upcoming scents! I know that Fleur No. 1 is inspired by the spring and snow melting on the mountains of interior British Columbia. Do you find yourself inspired by your current Mediterranean surrounding? Jessica: The two new scents are called Love is Sweet, and Ode for Him. They are actually inspired by a love story. They are an ode to love... it's a personal story as well as an exploration of love and relationships in general. I wanted to offer an idea that was uplifting and positive. The world these days needs more of this. Ayala: Love is always a relevant topic. And especially at this day and age - I feel many of us need a reminder of the sweet part of it. So many of us are left only with the bitter aftertaste when it ends, or forget to appreciate it if it turns into a long-lasting domestic relationship. Thanks for taking that role! Jessica: I also got a hold of some real oud, so as much as it is a material that has already been explored in many fragrances, I was inspired by such a magical material. I decided to create an 'Aromatic oud', so a bit different than the usual themes. I suppose this was the touch of Mediterranean influence in the sense that herbs are such a part of this region. Also, I have an amazing vanillin isolate, and fell in love with a molecular distillation of patchouli. So with these materials that I was in love with, I set out to create two fragrances around them- a pair. Therefore Love is Sweet is built on vanilla and patchouli, with notes of violets (natural ionones), and rose. It is quite rich and is meant to be reminiscent of more vintage and romantic fragrances. Ayala: You keep coming back to these violets! Regarding oud, it’s overdone marketing wise, but the possibilities are not even close to being exploited from the creative perfumery point of view. I’ve been working on an oud fragrance for years now, that is in conjunction with less-well-traveled notes, and although I’m very far from being satisfied with the outcome so far - it’s a worthy journey to travel. I think it’s very befitting that you chose Mediteranean herbs to go with the oud. It is so popular in Arabia, and the herbs are certainly what characterizes the natural aroma of the region's hillsides - aka garrigue. Jessica: In regard specifically to the Mediterranean, there are so many things that inspire here. There are flowers blooming from February onward. The hills covered in mimosa trees in full bloom, the banks of stone walls covered in purple wisteria (or later in summer, jasmine), the citrus trees in blossom, the wild lavender and thyme....etc etc. It is quite amazing. Ayala: I adore wisteria! I just smelled white wisteria recently in my visit to Berkeley. 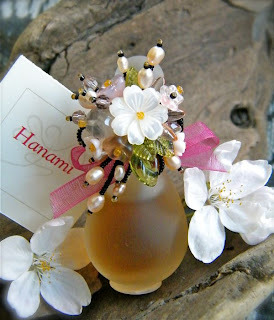 Yuko Fukami brought some to the Perfumer's Afternoon Tea and it's stunning! And I will never forget the wisterias in Versailles's gardens. Orange blossoms are a great inspiration for me and evoke spring more than anything else (see Zohar). And I'll never forget picking mimosas from the side of the highway to Tel Aviv visiting my grandma. It was her favourite flower. Now on to a question I'm frequently asked by my customers: What's in a name? And more specifically - are your upcoming perfumes going to be named Fleur No. 2, 3, etc. till 1000? Or will they be more evocative of a personal story like Reglisse Noire is? Jessica: I think each perfume wile quite different. I had thought about doing a series to follow Fleur No 1, yes. And that idea is still active. I think each fragrance will be quite different and each will have a personal story. 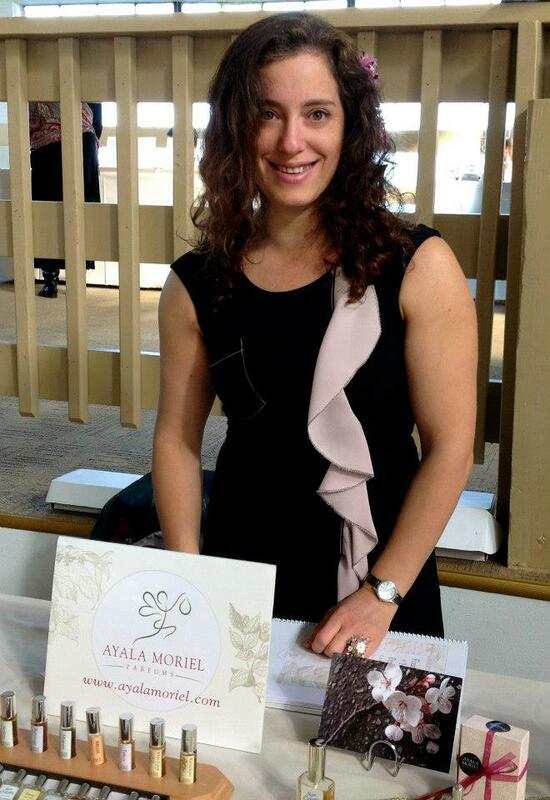 Ayala: What are the challenges you are facing being an independent perfumer in the French industry? Jessica: The main challenge is that the French population is not really interested in small, relatively unknown brands. They are accustomed to, and highly value their own known luxury brands, and don’t really step outside the box so much. They are quite traditional and do not have the sense of adventure that we have in North America, or even in other European countries for that matter. 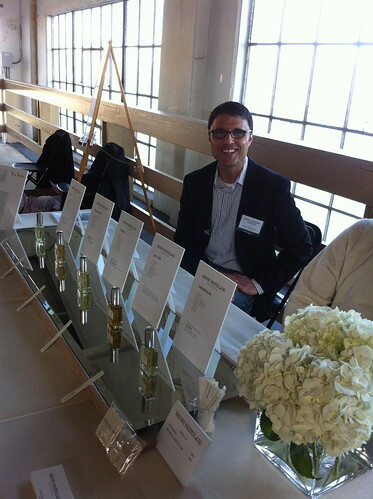 Ayala: It's true - and especially on the West Coast, the independence and freedom is apparent in the flourishing and thriving movement of independent perfumers-creators. Some even openly call themselves "underground" or "outlaws" in the sense that they are putting the art first and IFRA standards at the bottom of their priority list. Pretty much the opposite of what's happening in Europe. How are you planning to overcome that? Jessica: I am not limited geographically thankfully. Since I sell online, there is no limit. However, my niche here in France, is that I am a trained perfumer, and I speak English. So other opportunities are opening up. Ayala: There is something to be said about the internet. It gives a lot of flexibility and freedom, and opens up the path to very specialized niche audiences in faraway lands. At the same time - it’s great to hear that Grasse is opening new opportunities for you locally! What are the other advantages in being in Grasse? Jessica: The advantages are of course, direct access to the best raw materials, both natural and man-made. As well, of course, the reputation and mystique of Grasse is important for my brand. But I think, in relation to actual sales, my market is not here. That said, there is endless inspiration here in the form of a real perfume tradition with many perfumers and people who work in various facets of the industry, so that offers a real richness professionally. Ayala: I want to hear more about new raw materials you found in Grasse! Anything exotic or unexpected? I recently smelled fresh Szechuan pepper essence and eucalyptus absolute and am completely in love! Jessica: Actually I haven't found anything really new here... other than perhaps Lentisque absolute- which is a shrub that grows here up in the mountains. But other than that, the best part is that there are many producers here of the best lavenders, clary sage, etc. So that in itself is wonderful. That pepper essence sounds amazing! Ayala: It is amazing! Note to our readers: Lentisque is the French name for mastic (Pistacia lentiscus), from which the gum “Mastic” is derived (used in desserts such as sahleb and ice creams as well as chewing the resin as it to freshen one’s breath). There is also an essential oil and absolute - which is a less-known as a perfumery note but definitely worth the attention: green crushed leaf fresh top notes with resinous-balsamic undertones. 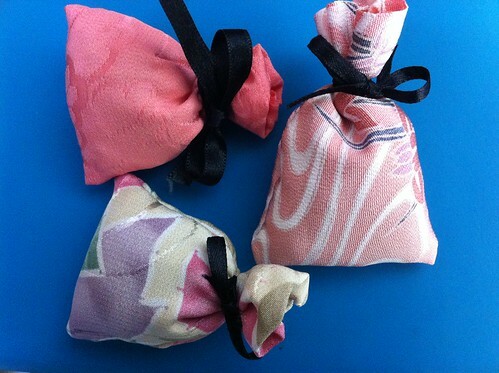 Do you feel that your perfumes have an identity - i.e. : Are they more "Canadian" or "French"? Are they more "natural" , "modern" or "old fashioned"? (just a few rather generic examples to be able to explain your brand a bit more). Jessica: My fragrances are a fusion of French (due to my education and approach to creation), and Canadian, (in the way I use and gravitate to high proportions of natural raw materials and am deeply inspired by an awareness of health ‘west-coast style’). They tend to be more in the vintage direction (again due to the naturals and due to my personal taste), but modern in the sense that I keep them quite uncomplicated. As my collection of fragrances grows, I think that one will find that my style can be eclectic. Especially with the two fragrances that I am just about to launch. One is a men’s fragrance, and it is leaning a little more in the modern direction due to some of the materials I have used to accent this effect. As an independent, it is important to not completely exclude the commercial market if one is to survive. In a general sense, my style is quite gentle and personal. I like the idea of fragrance staying close to the body and being an intimate experience where the wearer invites others in to experience their scent rather than intruding on others with aggressive scents. Ayala: How did your background in aromatherapy influence your choice of materials? Jessica: My background in aromatherapy gave me an in-depth understanding of the naturals in relation to chemical structure, as well as to therapeutic effect and safety concerns. I do adhere to IFRA (International Fragrance Association) guidelines, but even more, I keep in mind Aromatherapy safety guidelines, which are in fact, more stringent. As well, since I know the naturals so well, that I find them easier to work with. More and more, I am experimenting with merging the different palettes, and learning the traditional art of modern perfumery integrating modern materials. 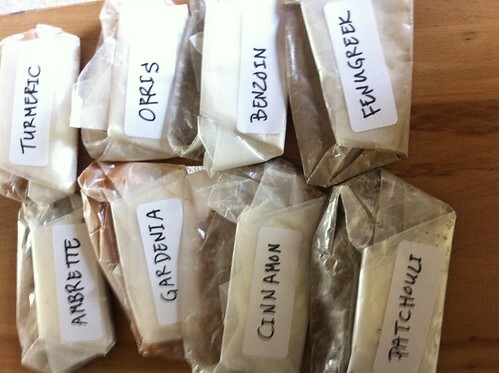 It is fascinating to write scent compositions with an ever-growing collection to draw from. It is a life-long process of learning- and deeply challenging. (as much as it is rewarding). Ayala: Tell me more about your learning experience in GIP. I also recently saw that you're teaching there - how exciting! Jessica: The year at GIP was amazing in so many ways. Technically, the first 3 months were spent studying the raw materials. Then we began to look at actual creation, history, fragrance genealogy, etc. It was very challenging and I learned a great deal about creation, as well as the industry. As well, I did 2 internships in large traditional companies (Robertet and Mane), which were incredibly interesting. Ayala: How exciting it must have been to do internships with these two influential supply houses. You must have learned a lot! 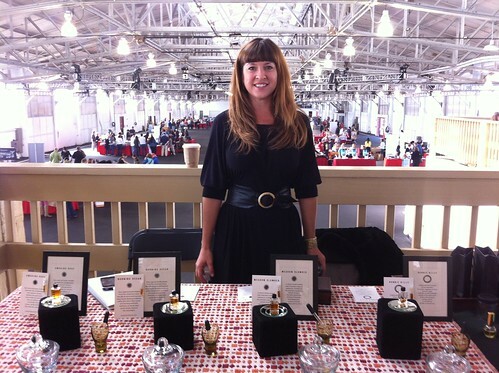 Jessica: As for teaching, I was invited to teach the advanced Natural Perfumery course in summer 2012, as well as a segment of the Level One courses for 2013. I wrote the curriculum for the advanced level. I based the course on the Jean Carles method of teaching/learning. For a 5 day course, it was intensive. I have also begun to teach a course in ASFO (the training center under the National Association of Fragrance Manufacturers (PRODAROM), that is designed for French who work in the perfume industry who want to learn the perfume vocabulary in English. The first group to sign up for the course, include people who work in the flavour industry who want to learn more about fragrance, as well as a perfumer who simply wants to improve his english. Mid-may I will be travelling one day per week to upper Provence to teach the same course in-house to the employees of a company who produces lavender, clary sage, and other essential oils. I am very excited about this, as I will be able to see some countryside, (it is 3 hours by car from Grasse), and to make some contacts with a company like this directly. Creating this course is really addressing an important need in this day and age where English is so important. The French are not strong in this language, and since I am trained in France in perfumery, and I speak English as my mother's tongue, I am able teach such a specialized niche course. 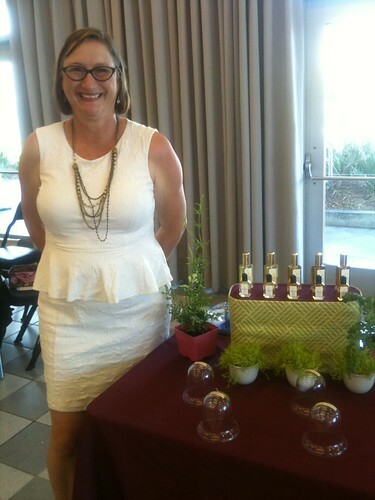 Ayala: Thanks so much, Jessica - and wishing you much success with the new teaching projects and the new perfumes! For those of you who will leave a comment on this post - your name will be entered into a draw for samples of 1000Flowers' Reglisse Noir, Fleur No. 1 and Narcotic Flowers. 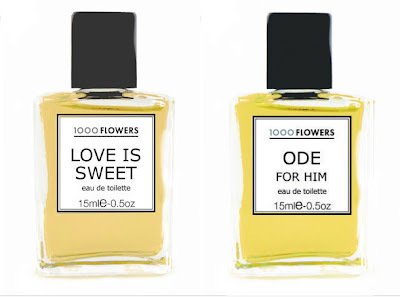 If you like the descriptions of Ode For Him and Love Is Sweet - you'll just have to splurge on a full bottle (they are both now on special). Narcissus, a photo by Ayala Moriel on Flickr. 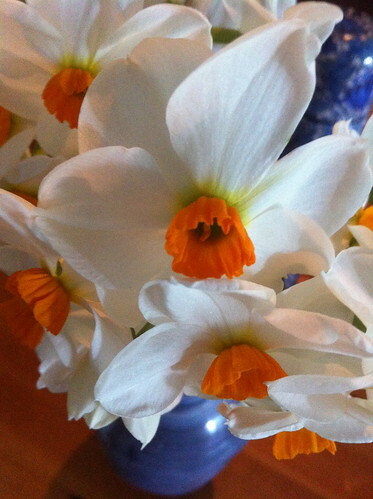 When my mom was a little girl she picked narcissi on the railroad tracks with my grandpa. Now she is a grandma but she still picks them for me! Tonight I'm wearing a narcissus perfume I'm working on. With jonquil and narcissus absolutes. They bear little resemblence to the fresh flowers, but are equally breathtaking! The perfume is very much based on the unique character of the narcissus absolute - densely floral, a tad spicy, honeyed, rich, luxurious, reminiscent of hay, maybe even a hint of roasted coffee. The fresh flowers strongly remind me of winter in Israel: the flowers emerge out of nowhere, often amongst the commonest thorny bushes, and never cease to amaze me what life can bring out of the hard, rocky soil. The flowers are shaped like a saucer and a golden tea cup in the centre. 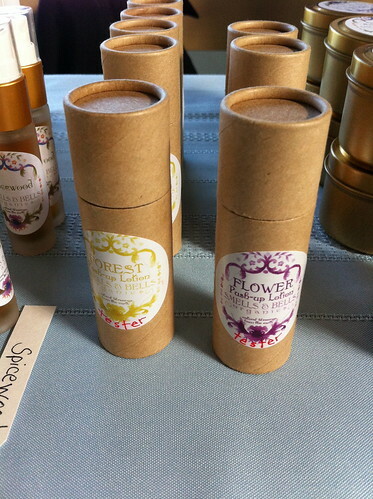 Their perfume is vibrant, fresh, honeyed, backed with a gentle and rather warm crushed-leaf greenness. Their scent is that of wild flowers and freedom: redolent of Mediterranean showers, jumping in the puddles, and discovering sunshine again after a day of rain. True piece of nature's art and alchemy. Every evening before sunset, the preparations for the lightless hours commenced: father would fill the lamps with petroleum, trim the wicks and replace the spent ones; and mother would clean the soot off the fragile mouth-blown glass shields with a round bottle-brush. This job had to be done well ahead of time to ensure they are completely dry. Failure to do so would result of the glass exploding into shreds once the heat of the flame kisses the damp glass. One day technology arrived at my home village in the form of solar-power, and the petroleum lamps and all those little strange mundane details of electric-free life were almost forgotten... Until I encountered Bruno Fazzolari, a visual and perfume artist as well as an art educator - and his new perfume collection of 5 fragrances with the eponymous title. I instantly fell for two out of the five, and learned that the soot collecting on such lamps has a name, and is also the most ancient of all pigments: Lampblack. Petroleum lamp, a photo by MrsFaraway on Flickr. Lampblack is not an isolated perfume - it was debuted as part of an art show at Gallery Paule Anglim in San Francisco, alongside a series of Exploring the relationship between art and perfume is a controversial and difficult subject (for many reasons I feel should be the topic of another post) and it's both exciting and encouraging to see an artist taking the risk and seriously pursuing the challenge. Lampblack pigment is not simply black - but also possesses brownish or blue background hues that might show more clearly to the untrained eye after the colour fades a bit. It's a very versatile pigment - and is used to create India Ink, as well as black water colour and oil paints. The primal, basic nature of lampblack pigment appeals to me. There is something very straight forward about it; yet also a mystery. It connects the innate need to tell a story through the ages - on cave walls or the Metro station. Lampblack perfume encompasses that connection: it has some very prehistoric elements such as the smokiness of nagramotha (cyperus, a relative of vetiver that has an almost tar-like scent that is not unlike petroleum at its pure state); an ink-like quality that makes one think of the cold steel from which bridges are built. Strangely enough, it also reminds me of a visit to a fisher's docks in Haifa in elementary schools, when we were shown a cephalopod and the ink that comes out of it. There was a salty, metallic scent in the air of a rainy winter day, the rusty ships and wet wooden docks. Upon application, Lampblack possesses an abstract yet familiar freshness merged with woodsy and mineral elements: sulfuric grapefruit, flint-like black pepper and woodsy sandalwood and vetiver. Quickly, a turpentine-like smokiness of nagramotha interferes with the agreeable opening, and an abstract array of molecules that bring to mind ink and minerals. 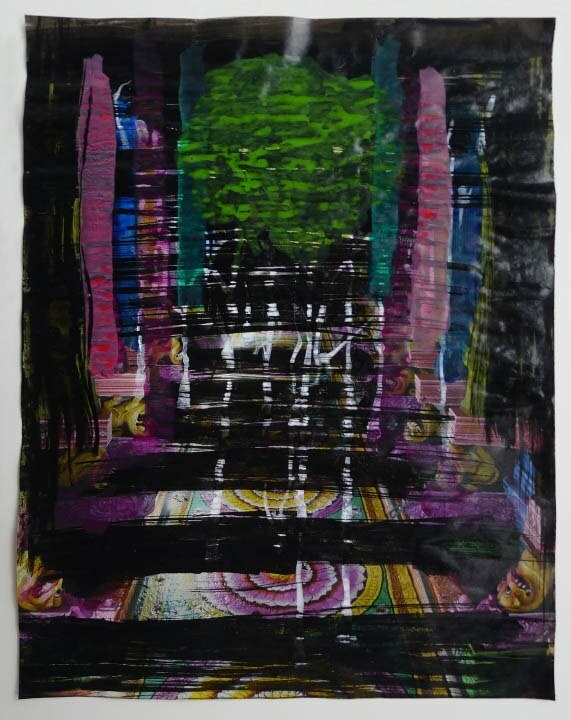 Underneath it, if you listen carefully, there's a quiet jasmine note peaking through the rather angular structure, echoing the "fruity magentas" and splashes of yellow that are peaking through the buoyant spills of thick India ink in the artist's painting - but perhaps it's the other way around. Powdery benzoin mellows out the dryness of the woods, suave and absorbent like rough watercolour paper. Lampblack perfume and the entire collection of 5 can be purchased directly from the artist's Edition webpage, or via his Etsy shop. 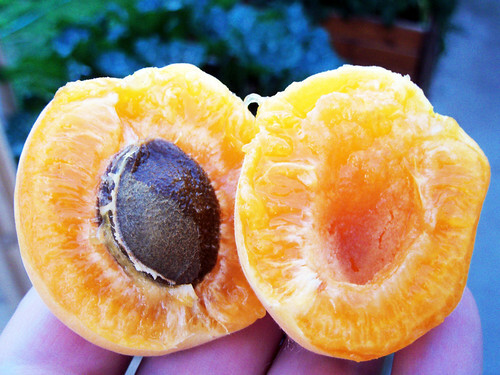 fresh picked ripe apricot, a photo by radiostaticstar on Flickr. “Picture plucking a ripe apricot from the tree and taking a bite. Feel the velvety, golden skin on your lips. Taste the juicy tang of the flesh on your tongue. 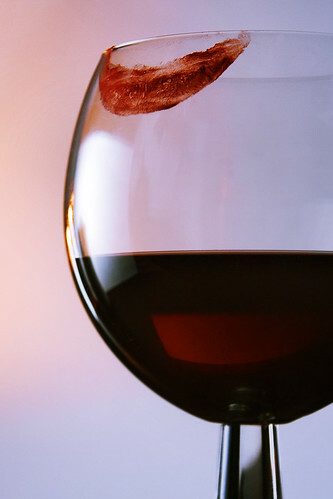 Multiple layers of ambrosial sweetness explode with earthy voluptuousness and piquant twist." Uprooted, a photo by Ayala Moriel on Flickr. "A longing to wander tears my heart when I hear trees rustling in the wind at evening. If one listens to them silently for a long time, this longing reveals its kernel, its meaning. It is not so much a matter of escaping from one’s suffering, though it may seem to be so" (Herman Hesse, Bäume: Betrachtungen und Gedichte [Trees: Reflections and Poems] ). On living vertically: the tree stands still. It only knows upward motion to the light; or drilling to the depths of the dark soil with its roots. 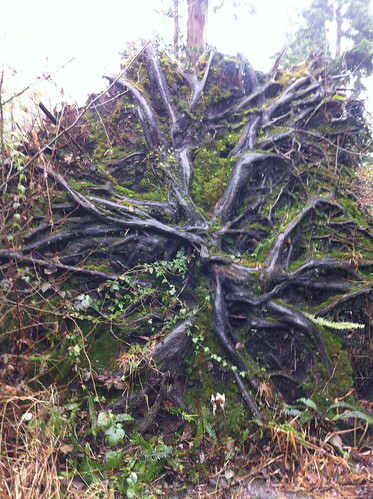 Even when the roots need to bypass a resistant rock or crack through a boulder, they are still vertically-oriented. Even when the branches are twining around an obstacle (another life-form, a building or a cliff) they are still climbing towards the sun. The tree suffers silently. The tree does not even dream of escape or refuge from discomfort or disaster. Fires, logging and frost will attack it to its death, which it will welcome with barely as much as a sigh. It only knows of wandering and travel from the little birds that perch on its branches and whisper their sweet songs of freedom into its foliage. When its arms are severed and when it is uprooted, a tree does not complain. It continues growing, silently, creaking only when the wind attempts to bend it beyond its range of flexibility. I long for the trees. When the snow and ice piles heavy on its boughs, the tree will carry these heavy waters as a water-bearer with a big family waiting in the village. Despite all of these limits, the tree knows love. To the birds nesting on its boughs, feeding their youngsters. To the beetles that eat through its bark and tickle its thick skin. To the wind that caresses its tender foliage in springtime. To the children that climb its branches, jump on them and scrape their knees on them. To the earth that hugs its roots, and to the underground parasites pinching at its nerve endings. And even to the savage winds that uproot it; the loggers who take away its pride. It will still continue to grow and move forward, sending shoots of new life around the mother-trunk. I am grateful and perhaps also cruel. In my apothecary I hold many lifetimes of trees and forests combined: essences from the fruits of junipers; needles of fir, spruce, cypress and pine; flowers of linden and balsam poplar; heartwood of santal, cedar, agar and oak; and tears (or sap) from frankincense, myrrh and hundreds of years old olive trees. From my horizontal point of view, I might envy the tree now. I long for its dangerous exposure to the four elements. Admire its brave silence in face of all adversity. a sudden spring wind had sent me her blessing and promise of hope with a sprinkle of ume (Japanese sour plum) petals on my exercise mat that's been permanently placed by the windows now. The Hanami season is fading, and the scent of balsam poplar buds fills the air with its cotton-like warmth, reminiscent of honey, apricots, yeast and cloves. New blessed initiative is approaching this summer, with FRAGments: Underground, Artisan, and Indie Perfume Collective. 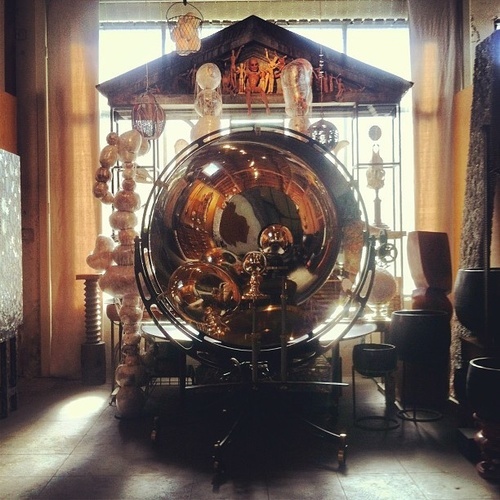 It will launch with a pop-up shop and fragrance salon on June 22, 2013 in the Highland Park (Los Angeles) at the cabinet-of-curiosities studio of eclectic sculptor and patron to the arts, Clare Graham. The idea was conceived by my fellow natural artisan perfumer Maggie Mahboubian of Parfums Lalun, and will include a total of 15 perfumers and fragrance artists (complete list TBA). The initiative is meant to represent the growing and vibrant movement of artisanal, underground and independent perfumery that's happening in North America - and in particular on the West Coast. The name is an amalgamation of "Fragrance Movement". "FRAGments will run as a series on the Saturday closest to a solstice or equinox. Each event will take place in a spatially evocative or architecturally significant venue that highlights the urban context of the host city". 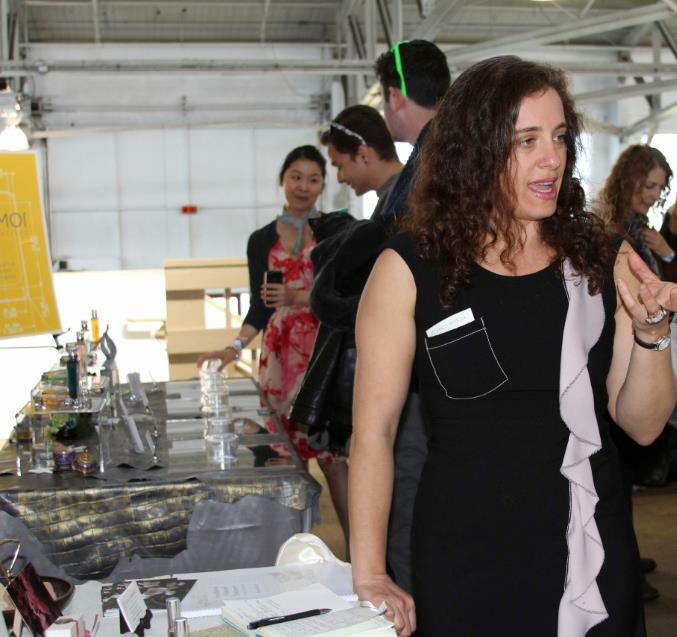 Before the sale portion of the event, there will be a panel of perfumers, which will provide content and and insight into this lost art-form, followed by sale. The perfumers will be beautifully curated in the unique space chosen, where each perfumer will be equally represented by 5 perfumes from their line. Perfume shopping requires a more intimate and relaxed environment for testing and sampling, and guests could either purchase full sizes or discovery sets of all 5 scents from each perfumer. Complete list of the 15 participating perfumers TBA The list of participants is out! 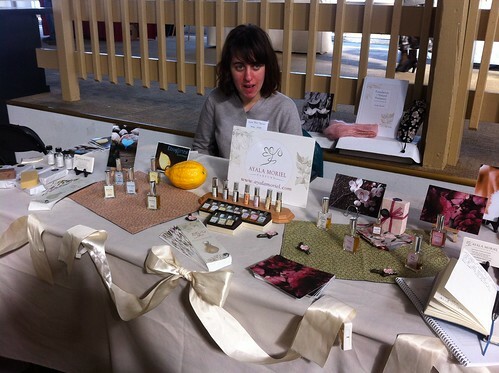 Come sniff, get the story behind each perfumer's art and, if you choose, purchase directly from them. , a photo by gracias! on Flickr. The golden violet character of osmanthus is highlighted by sunny notes of mimosa and elemi and robust fruity-herbaceous davana (Artemisia pallens). 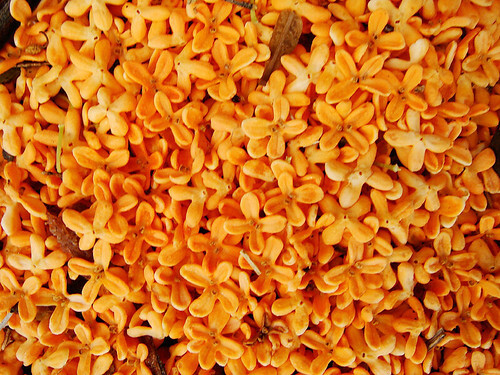 Reminiscent of strawberry-jam, cured hay and grapes, davana adds a dark and fruity nuance to the apricot-leather quality of osmanthus, and shifts the balance from leather into fruit. Elemi's (Canarium luzonicum) lemon-pepper resinous note adds brilliance and clarity to this dense theme. It gives it a bit of a green and dry-woody tone as well. 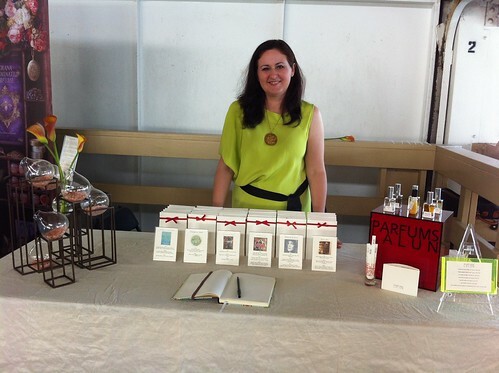 Petalum is part of Purusa - Sebatian Sign's natural perfume gels line. They are infused into a smooth, easily-absorbing gel that's made from argan oil. Aside from the smooth consistency and unusual texture, they are also quite unusual perufmes, that style-wise fall somewhere between the therapeutic purity of aromatherapy synergies; and abstract perfume compositions of unusual notes. Notes: Osmanthus absolute, jasmine absolute, davana oil, elemi oil, mimosa absolute. "Pain travels side by side with joy and darkness is followed by dawn and another chance" (Judy Collins). It is true. The most joyful, blissful moments follow a rather painful experience. A great example is labour - followed by the greatest joy of all: the new life of your child. 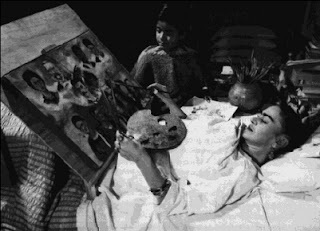 Likewise, the creative process can be a lengthy and agonizing one, not infrequently compared to giving birth - and ending in a creation that gives joy and healing to those who create it - as well as those who enjoy or experience the art, the audience. It is often debated - is perfume truly art? Is it a commodity? Considering that some of the greatest perfumes were created in response to the perfumer's own experience of pain, loss or unrequited love; or were inspired by such experiences of the designer that has commissioned them - I would argue that perhaps, after all, perfume is one of the greatest joys we can have - created through alchemical transformation. 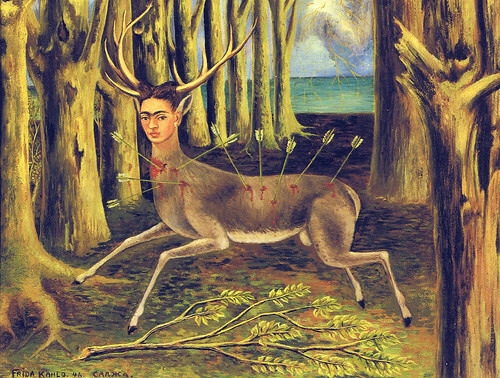 Frida Kahlo - Self-portrait as wounded deer (1946), a photo by petrus.agricola on Flickr. And what about ethics? Would the suffering of animals that were sacrificed in the process (i.e. : tortured civet cats, Canadian beavers hunted for their fur, sperm whales slaughtered for their blubber and ambergris, bees robbed from their honey and wax, and the extinct, massacred musk deer) be a contributing factor to the great beauty of perfume? This is perhaps digressing from the question, but from my experience, although the animal essences on their own reek of violence, fear and death - the result of adding a minute amount of this torture or death-extracts to a botanical perfume transforms it beyond imagination. This cycle of pain and joy is essential to our existence. Like breathing and sleeping, we need to learn to live with that and accept it, as we must accept the cycle of life and death, rejoice in every fleeting moment while we still live and breath, and cease the day to do what truly brings joy to us - because pain might strike at any moment. And we'll need to stock up on beautiful energy to go through it with dignity and compassion. 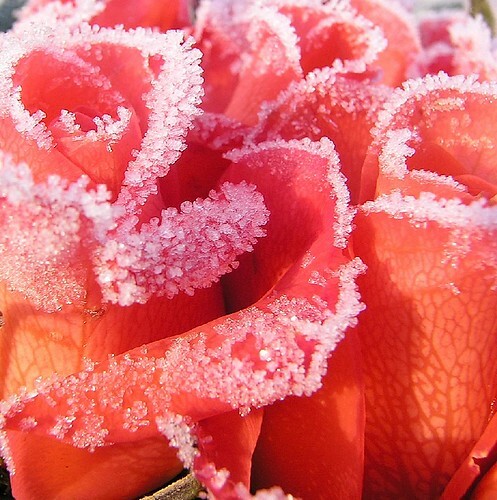 Eisrose 2, a photo by multiflora on Flickr. Cerise en Cocoa is the other Rebel & Mercury's other osmanthus-laden perfume Nikki sent me to try before our osmanthus conversation, this time in an oil-base parfum concentration. It is not nearly as osmanthus-y as Osmanthus Red, but is noteworthy for its stellar pairing of a difficult trio: rose, osmanthus and chocolate. Rose and osmanthus together are extremely difficult to work with. When they have been paired in the past, the result was a rich-heavy-nearly-muddy concoction. Masterfully blended it will result in melancholy darkness such as that present in 1000 de Patou. Not so well done it is just sheer cacophony - every perfumer's nightmare. Somehow, in Cerise en Cocoa, Nikki Sherritt was able to pull the best of each component and work them together in a balancing act that brings to mind an acrobat dancer on a tightrope. And not just any acrobat - but the legendary Rosa Marzipan herself (a beloved Erich Kästner heroine). Pretty and flexible, with a delicate almond-paste complexion and while her head is nearly always in the air, her head is grounded in reason and wit. Cerise en Cocoa (cherry and cocoa) begins with a burst of unusual fruitiness - the plum-like, robust juiciness of osmanthus absolute combined with an even juicier ruby-red grapefruit zest and both bring forth the the peach-plum damascones in red and white roses. The wine-like, liquor qualities of cocoa absolute also contribute to the sensual feeling of biting into a Pierre Herme violet-cassis macaron, with the thin brittle skin bursting open to reveal a lightly fragranced, creamy almond paste underneath and a cassis-flavoured silky ganache undnerneath. Yet, all this apparent sweetness is well-balanced with an underlying dry air of woodsy vetiver roots. There is almost a dry feeling of pencil shavings, so there might be some Virginia cedar lurking beneath too. Cerise en Cocoa is available directly from Rebel & Mercury's Etsy shop; or via Sweet Anthem in Seattle. Lipstick, a photo by 96dpi on Flickr. And while we are on the theme of red, I want to announce a new One-Of-A-Kind perfume I recently added online. 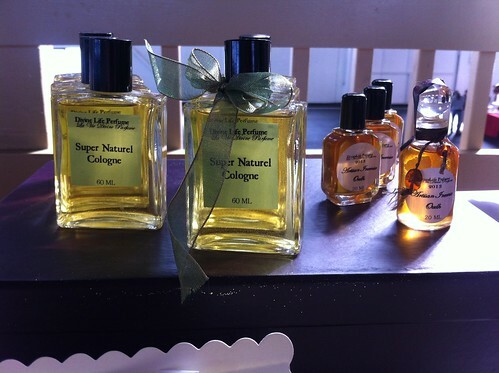 Back in 2007, I was on a vetiver roll and created several vetiver-centered fragrances. Out of these, my favourite, Vetiver Racinettes, was added to my permanent collection of natural perfumes. However, the road of vetiver was as fascinating and quirky as the finished result - 5 different mods, Wilde Vetyver, Vetiver Blanc, Vetiver Noir and a Vetiver Truffle - a solid perfume with black summer truffle oil that melds together the luxurious and the earthy. Six years later, I returned to the sketch book of the 4th in the series, Vetiver Rouge, and felt inspired to elaborate on the theme of red vetiver. This time around, I've played with the meaning of the name, and took it to the complete opposite direction than my other vetiver scents. It is far more soft, round, sweet and feminine. While is still maintains the mysterious depth and complexity of the darkest of vetiver essences, it had the audacity and It has the red spectrum with notes that in my mind have deep reddish hues. Complex and ambitious, the most tenacious vetiver notes from around the world are accompanied with the elusive, distinctive, intensely licorice-sweet and somewhat powdery - tarragon absolute. The red-copper tainted Ruh Khus from India is combined with a co-distillation of vetiver with Mitti attar (baked Indian earth) and juxtaposed with the earthy luxury of deep cacao liquor. Add to that a slice of juicy, raspberry-like blood orange, red rooibos red tea, geranium absolute from the tropics, red champaca absolute and exotic tomar seeds form India, and there is a concoction that is like a kiss of thick rouge and a sip of a deep red wine. 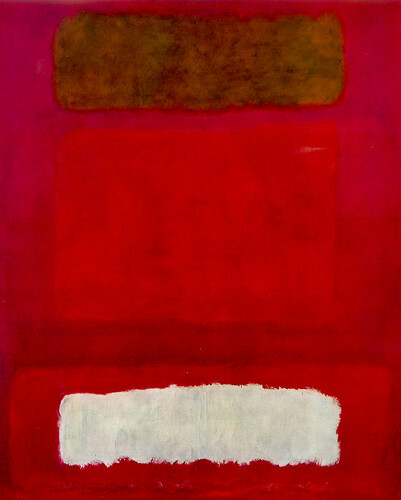 rothko_redblackmaroon, a photo by expository writing: arts & ideas on Flickr. Osmanthus Red by Rebel & Mercury paints osmanthus in broad strokes of magenta, red and gold. While most mainstream osmanthus scents are painted in faint, washed-out watercolours, Nikki Sherritt prefers to paint hers in full-bodied oils that give a thick, almost syrupy texture to this rare absolute. Osmanthus Red pairs the plum-like and "violet meets blackberry jam" quality of osmanthus, as the perfumer described she perceives it in our previous conversation - with juicy blood orange, and the golden hues of marigold (aka tagetes - pronounce tah-jet), a modest garden flower that keeps hungry caterpillars at bay, and gets little attention if at all from perfumers. Marigold on its own has a slightly citrus opening reminiscent of bitter orange zest; but it is most significant for its overripe Golden Delicious apple-like notes and almost-disturbing green bit of leafy overtones; yet ends with a soft, very natural, herbaceous-sweet grassy, hay-like finish. It's a little like tomato-leaf: you'll either love it or hate it. And who besided Nikki would have imagined that such a strong-minded note will get along so well with the elusive and distinctive osmanthus? 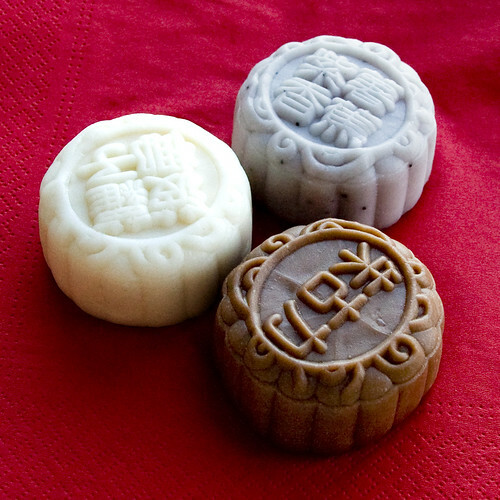 Snowy mooncakes - Sweet Potato and Banana, Sweet Osmanthus and Chestnut and Chocolate and Banana, a photo by Pondspider on Flickr. Another prominent note in Osmanthus Red seem to give a nod to the Asian culture from which this plant originates: ginger CO2, which is full-bodied and as golden as could be, almost candy-like. Tuberose gives it an animalic edge, yet with a feminine softness, which leads us to the most alluring, voluptuous amber base, lingering for hours on end. It's honeyed, a tad powdery and very long lasting, as a good amber should be. This is the Eau de Parfum I'm writing about. It is also made in an oil base. Other sizes are also available from the Rebel & Mercury online shop. Coffee Beans, a photo by Stirling Noyes on Flickr. Last month, I went back to my old sketch vetiver formula for Vetiver Noir (from 2007) and decided to make it better. Sometimes great idea take a few years to materialize, and I'm glad that no one bought this before, so I was able to turn this into a singular, One Of A Kind perfume and offer it anew on my website, in the semi-custom-perfume. The way it works with these OOAK perfumes is, that instead of paying full price for a custom scent you get to pick a singular phenomenon from my personal lab experiments and archives, and make it your own. I will not sell the perfume (or the formula) to anyone else after you do so; and when you run out - you can order a refill for the same price as custom scent refills go for. To the original formula, with Indonesian vetiver, dark-roast Arabica coffee, Ruh Khus and Cardamom - I added some surprising elements that have a dark, intense quality - yet create a very sophisticated aura. Using Bourbon Vetiver was a big twist of faith here, as it is a very rare distillation, and with that smoky, dark, nutty quality that makes vetiver connoisseurs swoon (and those who don't get vetiver in other occastions might just fall for it after smelling this varietal). 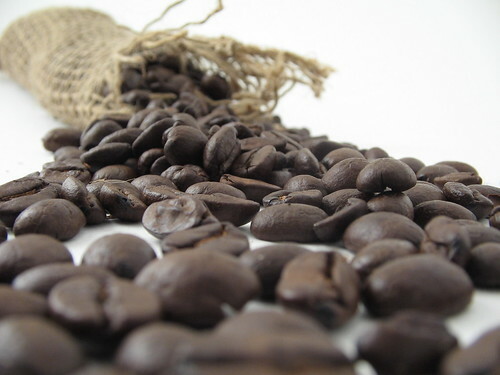 Dark-roasted coffee beans complement the nutty, dark texture of Vetiver Bourbon and Indonesian vetiver oils. 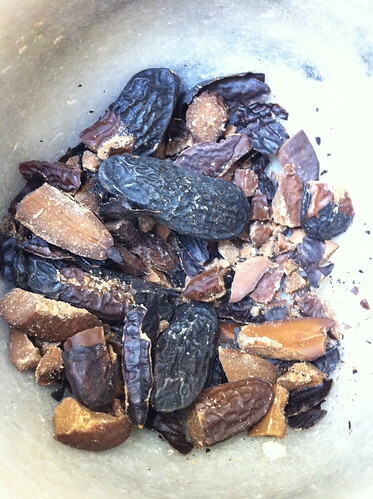 Ruh Khus and baked Indian earth contribute warmth and depth, accented with hints of nutmeg and hazelnuts. The new OOAK Vetiver Noir turned into something I'm so pleased with I'm almost tempted to take off-line... That's how much I love it. So make it your own before I change my mind! 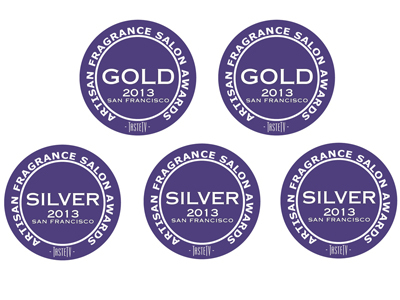 And as if the adventures of travel, the tea party, the meeting with all the wonderful perfumers and friends weren't worth it on their own - I just got the word out that I won no less than 5 awards at the salon: 2 golds and 3 silvers! 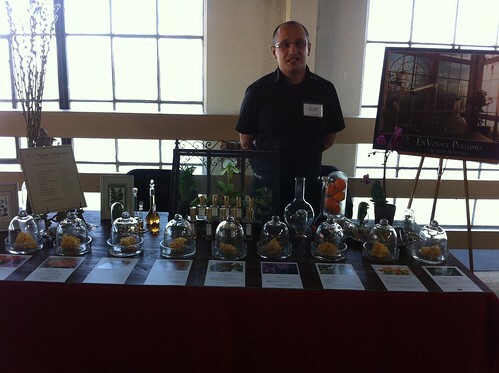 The golds were awarded for "Best Ingredient Combinations" (along with Bruno Fazzolari, Roxana Illuminated Perfume, Artemisia Natural Perfume and Olympic Orchids Artisan Perfumes); and for Top Artisan Perfumer (alongside INEKE, Velvet & Sweet Pea's Purrfumery, Roxana Illuminated Perfume and COGNOSCENTI). The silvers were given to me for Best in Salon (next to Bruno Fazzolari), Best Aroma (next to Olympic Orchids Artisan Perfumes, Imaginary Authors, MIKMOI, Velvet & Sweet Pea's Purrfumery and Parfums Lalun); and Top All-around Product Line (again with Bruno Fazzolari). When I was visiting Trish from ScentHive, she pointed out to me this must-watch 2hr perfume documentary on BBC that you can watch online - divided conveniently into 8 parts. I just completed watching the entire series, and it's very insightful and revealing. It shows many faces of the current world of Western perfumery - beginning with the LOUD perfume launch from Tommy Hilfiger - a very mainstream process (and I didn't even know this scent existed - did it even launch in Canada? ); Givaudon perfume school in Paris, which trains the next generation of corporate perfumers - and in contrast Jean-Claude Elena, who is the confined yet wild-and-free architect of all of Hermes' contemporary fragrances. Christopher Brosius' quirky and eccentric personality hunts everyday fragrances which he composes into his anti-perfume ready-to-wear bespoke creations, ranging from old books, tomato leaves and the scent of an English pub. 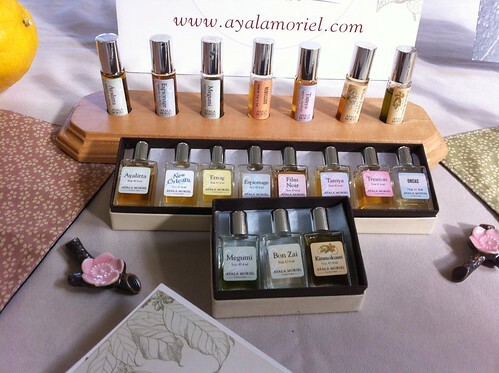 Ayala Moriel Parfums display, a photo by Ayala Moriel on Flickr. 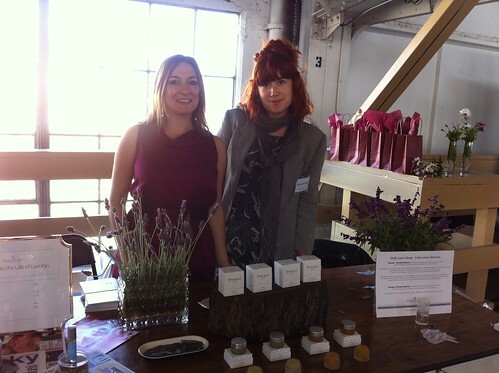 So this is what I've been doing last Sunday... 2nd Annual San Francisco Artisan Fragrance Salon. 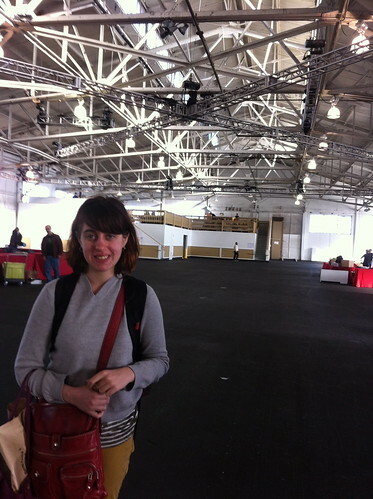 Spent the entire day at Fort Mason's Festival Pavillion with Miss T who helped me (well, mostly she just put up with all the boring perfume talk; and waited patiently for quieter moments when we can play Slamwich together...). It takes a lot of energy for me to settle back from trips, especially with it still being spring break and all. Besides, there is a lot to process, absorb, take in after such trips. They are inspiring yet exhausting... And I've met some wonderfully creative and inspiring perfumers who I want to try a few more times, write about and share with you. There was definitely a lot of exciting, high-quality stuff coming out and worth trying! As in previous salons, it was exciting to meet some customers face to face for the first time - and reconnect with those who were in the historical 1st Artisan Fragrance Salon in San Francisco last July. And then there were bloggers and writers, such as the darling Tama Blough from Ca Fleure Bon, who also did a talk about how to write a perfume review; and Virginia Blanco from the bi-lingual blog Te de Violetas. Some customers travelled from the far southern parts of California, and others from as far as North Dakota (!!!) just to smell our creations and shop for perfumes directly from their makers. I hope this will be a destination - if not a pilgrimage - for perfumistas and scent afficinado to travel to once a year. 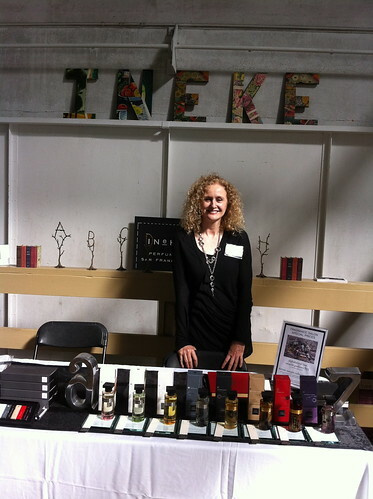 There's a lot that's happening in the indie perfume scene on the West Coast and you can't find in the big trade shows on the West Coast - or Sniffapalooza, for that matter. 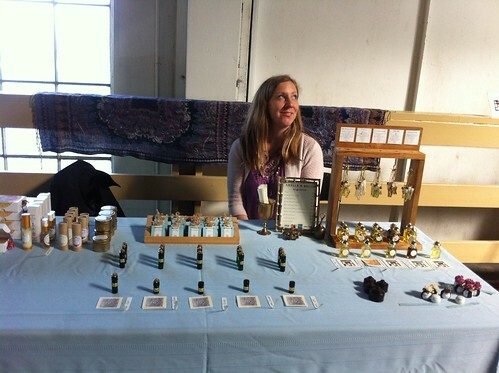 And, most importantly - the wonderful fellow perfumers who were also showing their creations that day, some of which were even students of mine, such as Ragna Rostad-Ruffner (Divine Life Perfumes). Divine Life Perfumes' Super Natural Cologne (above) and the rose collection - Trinity Rose, Rosita and Dharma Rose (below). And also across from me - Sanae (Sanae Intoxicants) from Los Angeles. Olympic Orchids' Ellen Covey and her husband - they came all the way from Seattle! I was excited to discover a new osmanthus perfume in her collection - Sonnet XVII. 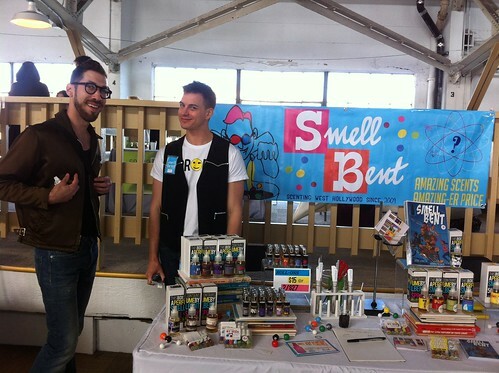 Brent Lenoisio (SmellBent) from Los Angeles with his helper and his usual tongue-in-your-cheek expression. 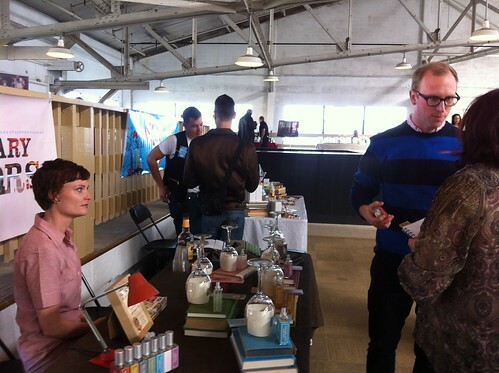 Josh Meyer from Imaginary Authors) (hailing from the cutting-edge city of Portland) hard at work selling his novels! 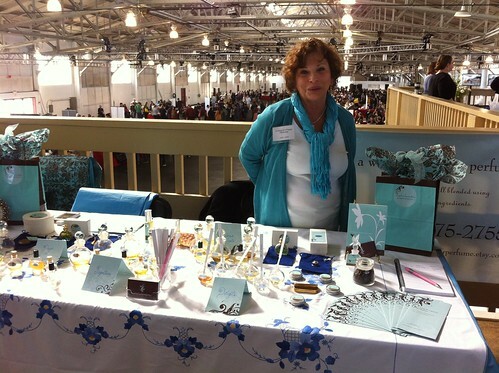 Lisa Fong (Artemisia Natural Perfume) setting up her table with flowers and smiles. 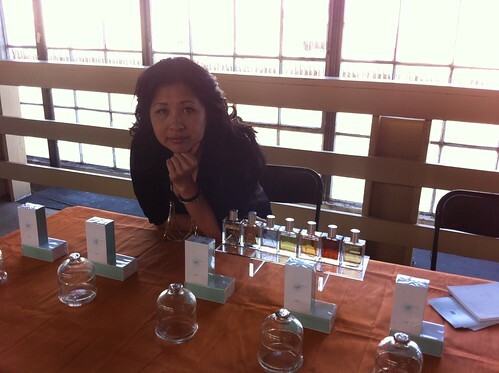 Yosh was there, back from long travels in Europe, and was using her innovative aura reading and portraits to help customers in the scent-selection process. So much fun! 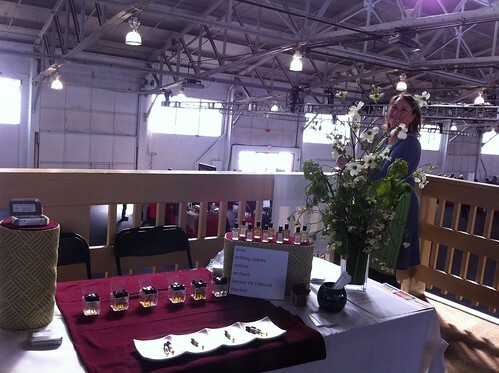 Dannielle and her team at the COGNOSCENTI table - you'll be happy to learn that she now has travel size spray atomizers of all three fragrances. I picked up a No. 19 Warm Carrot and now can enjoy it in more lavishly, along with the beautiful Warm Carrot body butter than Dannielle gave me at the tea party. Sherri Sebastian from Sebastian Signs is a line I'm just beginning to explore - so there will be more write ups on that later after I process this trip. 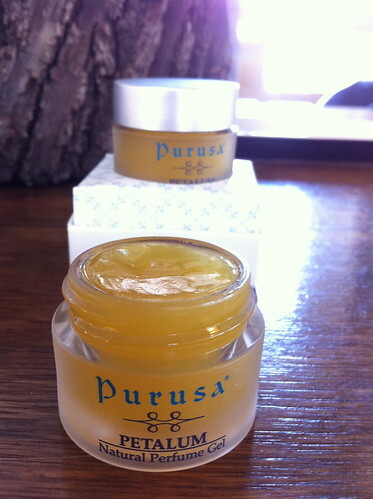 Purusa Petalum natural perfume gel by Sebastian Signs. I think I found a new osmanthus love! Maggie Mahboubian (Parfums Lalun), who came all the way from Los Angeles (I met her in September at the salon in Santa Monica and her line is exceptional). 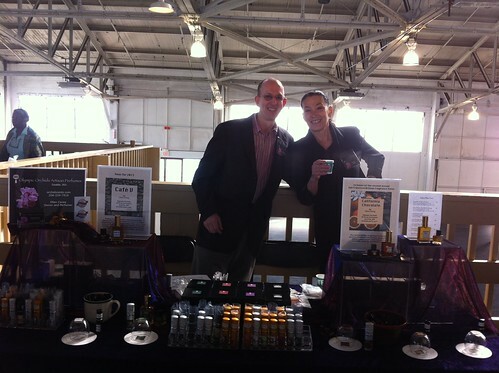 Mario T Gomez manning Shelley Waddington's table (EnVoyage Perfumes). Notice the wild display of real orchids and plants! 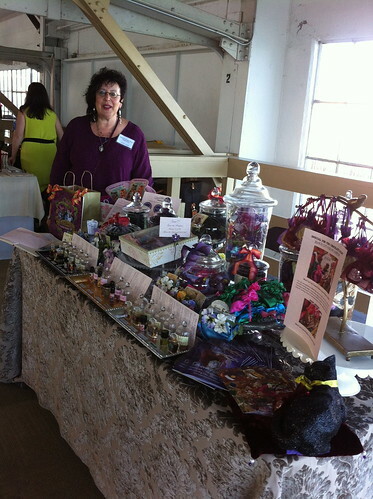 Laurie Stern's whimsical display (elvet & Sweet Pea's Purrfumery), full of details and treasures. And in contrast - Bruno Fazzolari's minimalist booth, which debuted at this salon. I promise I will write more about his scents later - he gave me his sample kit, so it's actually feasible to promise such a thing. 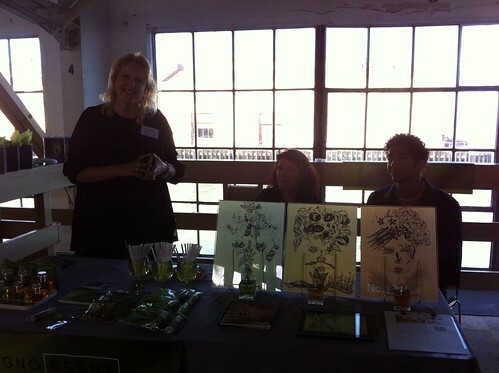 Next to Bruno - the dreamy Jennifer Craine from Smells & Bells. These photos don't do justice to how adorable her packaging looks in person. 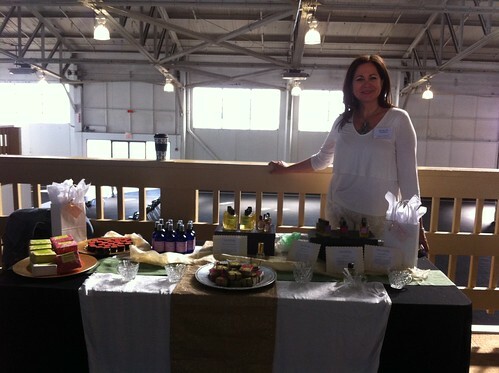 Unfortunately, I hadn't had much of a chance to smell her creations during the event. 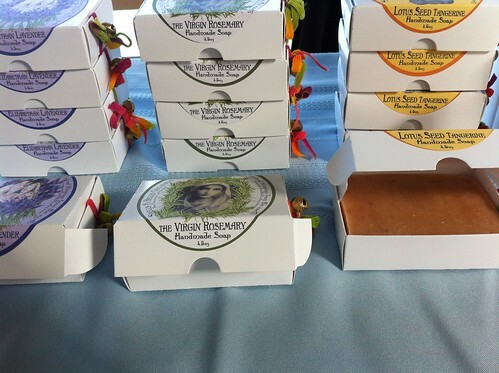 Jennifer also makes soaps and body products - and they are all natural and beautifully packaged. And last but not least: the glowing and beautiful Ineke and her abecadary collection and Floral Curiousities collection she created for Anthropologie. Little girl in a big and not yet full Fort Mason's Festival Pavillion, just before the show. 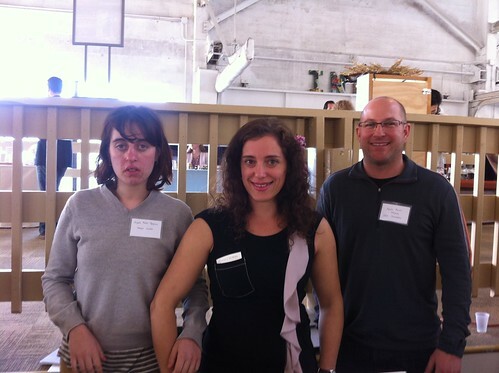 And here's my team again - me in the middle, with Tamya and Dave, who kept me company (and made sure I eat something). And as if the travel, the work and all the other efforts weren't worth it on their own - I just got the word out that I won no less than 5 awards at the salon: 2 golds and 3 silvers!